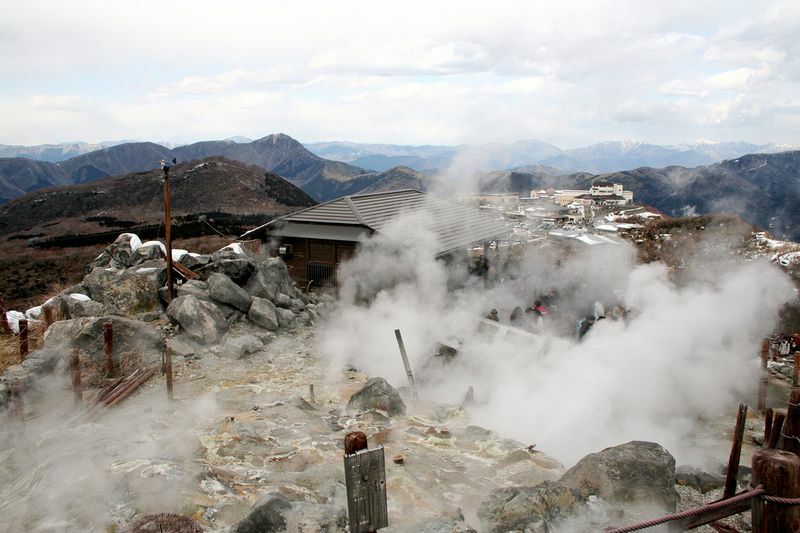 Owakudani or “the Great Boiling Valley” in Hakone, Japan, is hardly the ideal tourist spot. 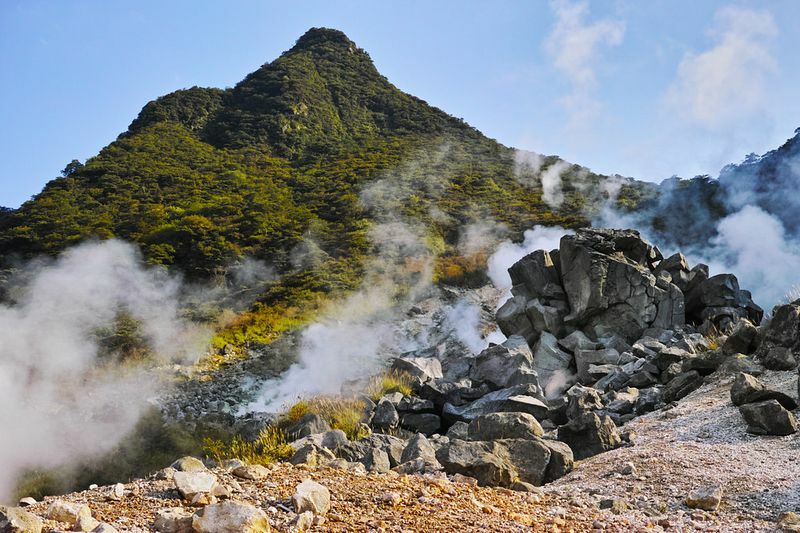 It’s a large volcanic caldera formed around 3,000 years ago following a large eruption of Mount Hakone. 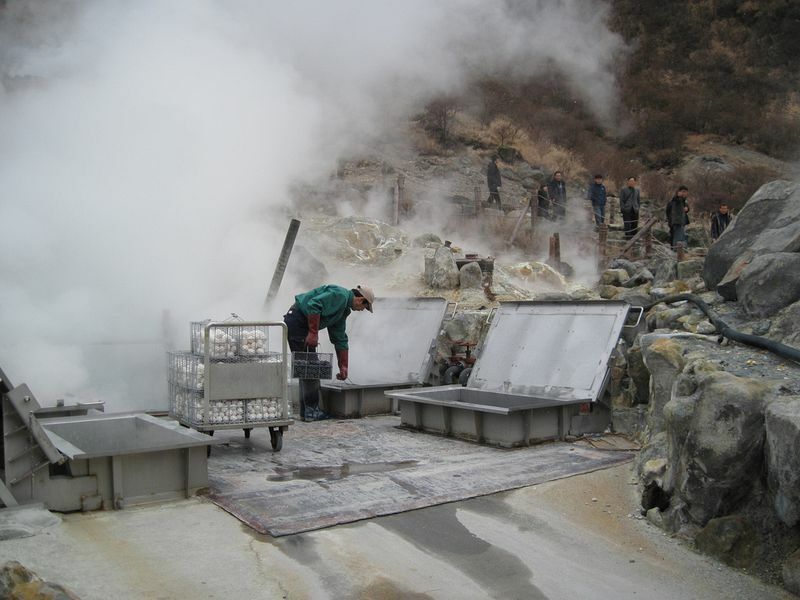 Owakudani is still active with boiling pools of sulphur-rich water and huge vents spewing forth steam and volcanic fumes of hydrogen sulphide and sulphur dioxide. 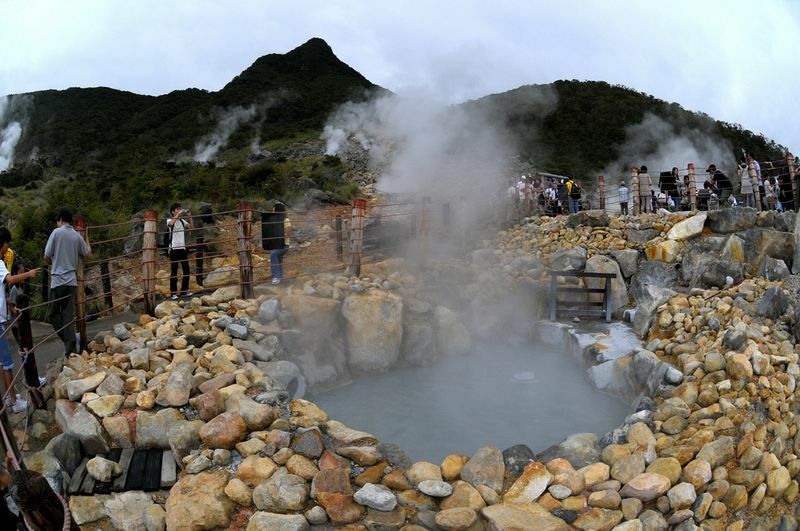 The entire area has a strong smell of rotten eggs, but it’s the eggs the tourists who visit the Great Boiling Valley are seeking for. 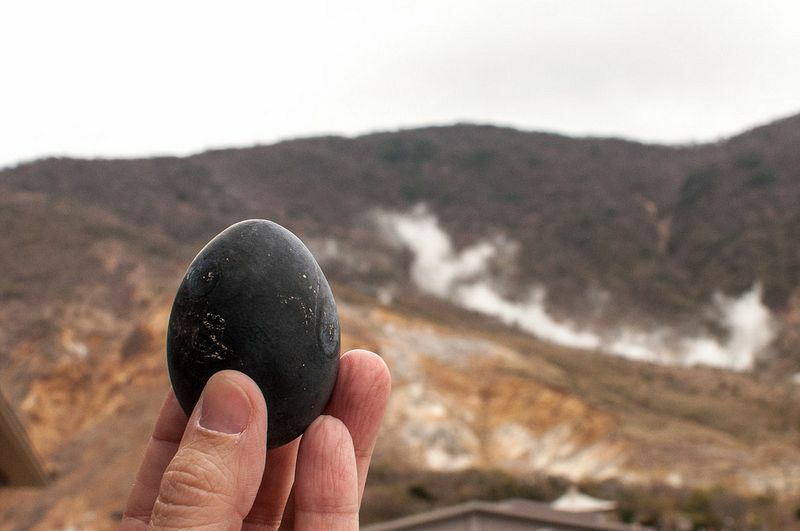 The Owakudani black eggs or “Kuro-tamago” are regular chicken eggs that are hard-boiled in the naturally hot water pools. 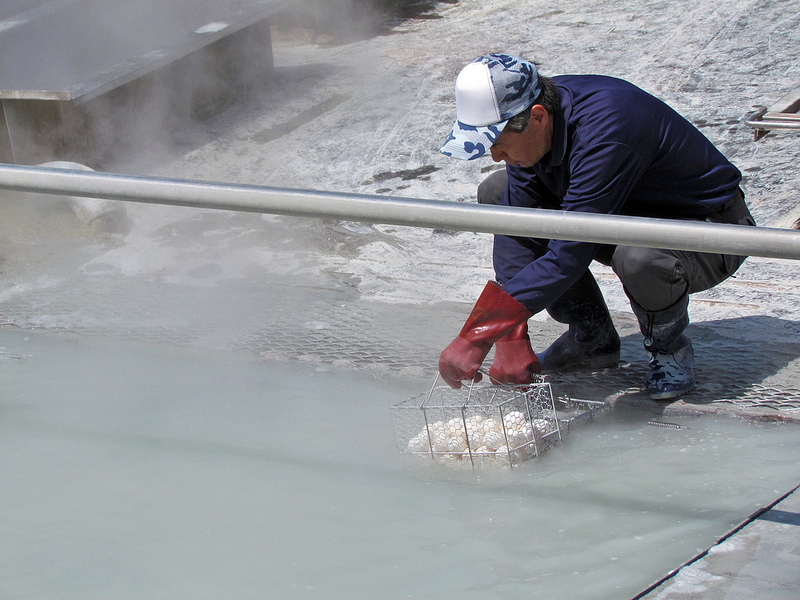 The sulphur in the water renders the eggs’ shell black while also imparting a peculiar smell to it. Locals say that taking one can prolong one’s life by seven years. Take two, and you’ll get 14 extra years added to your life. 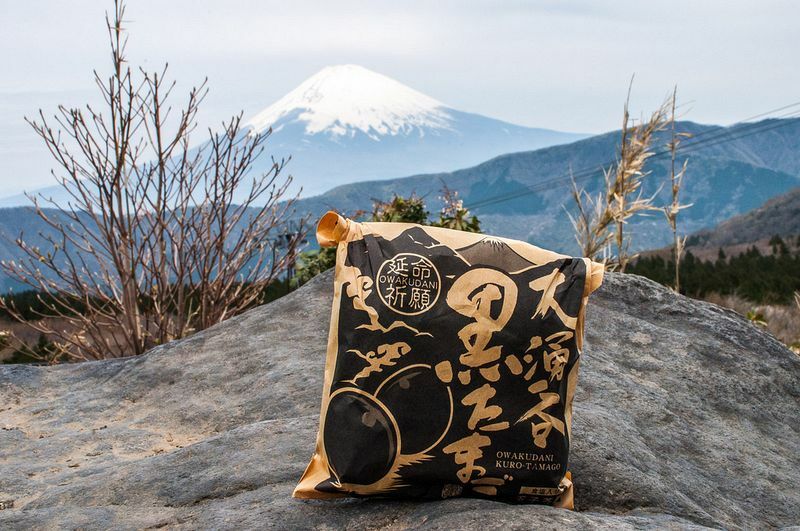 The eggs are boiled on top of a hill which visitors can reach by a kilometer long hike or by taking the Hakone Ropeway. From this vantage point one can have a magnificent view of Mt. Fuji, that lies next door. The eggs are eaten right there, besides the spring where they are boiled and sold. 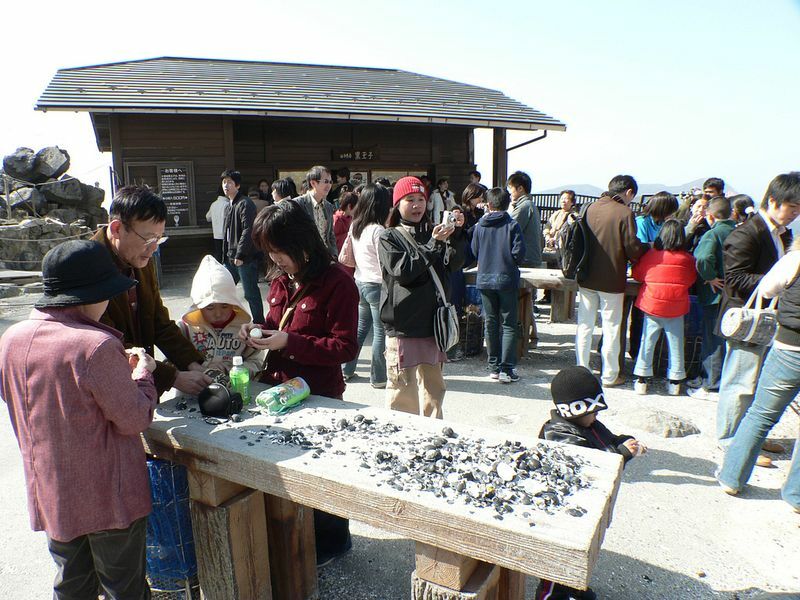 Small wooden tables are laid out in the open for visitors to peel the blackened shells and enjoy the soft sulphur tinged flesh inside. 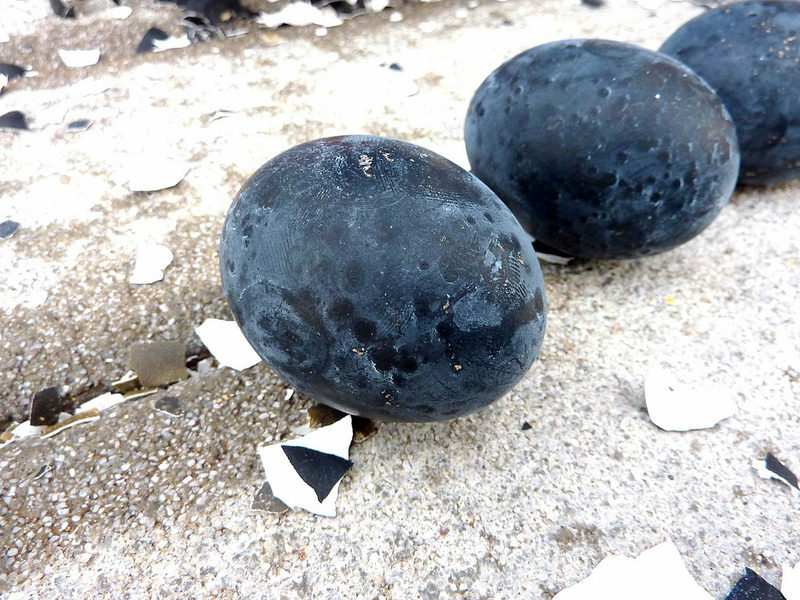 The black eggs are famous throughout Hakone and one need not always visit Owakudani to eat them. 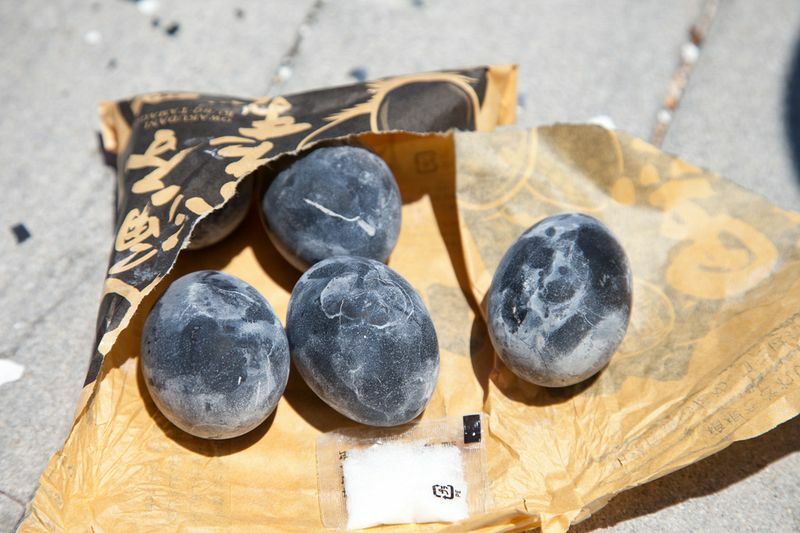 They are sold in many shops around the town in small bags of six for 500 Yen. 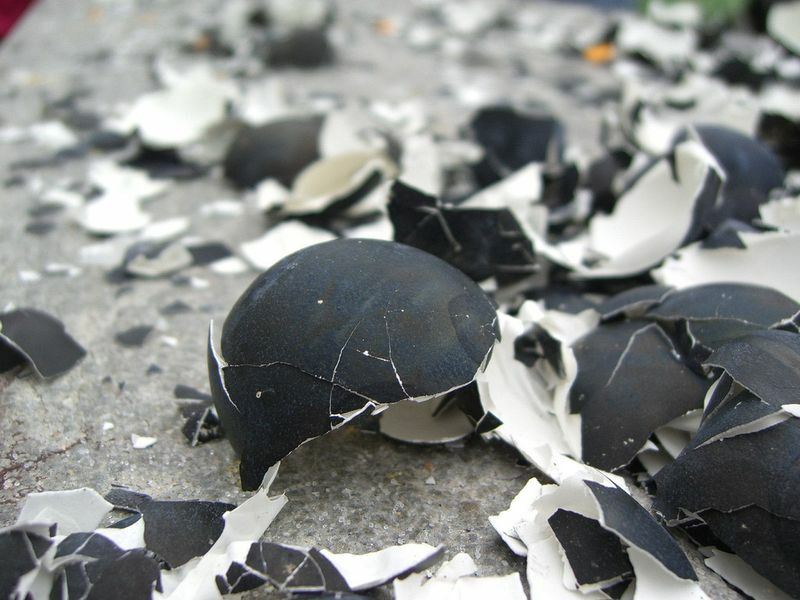 There is nothing wrong about eating sulphur boiled eggs, actually. 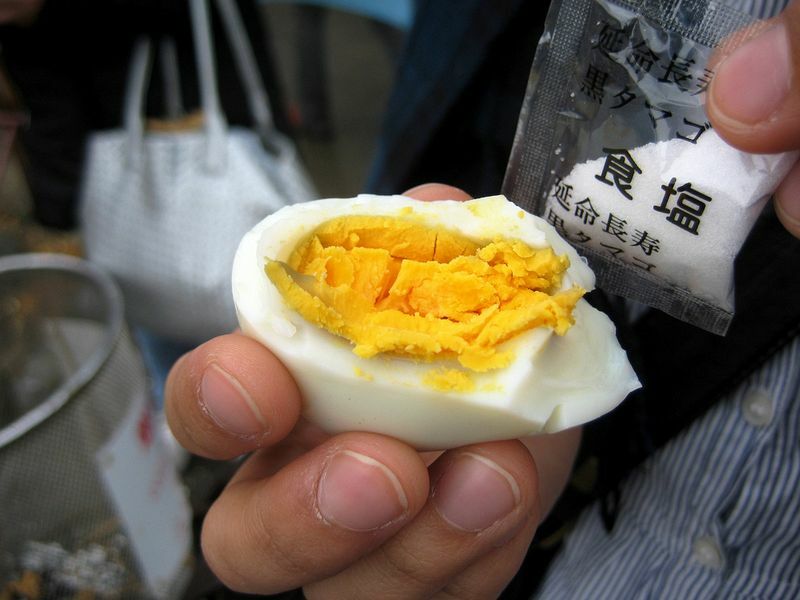 If you think they are gross, you should see how the Chinese like their eggs.